I wanted to like the reboot of The Rocky Horror Picture Show. I really did. I’ve loved many musical reboots before — even a few of the television remakes that have become trendy in recent years. I tried to give the new version a chance, but it just didn’t have the quirky charm of the original. One of the biggest problems is that The Rocky Horror Picture Show just doesn’t work as well on a TV screen. It’s all about the live shows, complete with glitz, glamour and a good dose of crazy. There’s something about lounging on a couch in a sweatshirt that just detracts from the quality of the production, no matter how good (or in this case, bad) the sets and costuming are. The other problem, of course, was the acting (or at times, lack thereof). On a show that should be over the top, it often felt forced, and sometimes, dreadfully dull. The exception? Laverne Cox, who although not always perfect, offered up a few truly entertaining moments as Dr. Frank-N-Furter. Obviously, there’s no replacing Tim Curry, but Cox managed to bring her own flair to the television production. She was maniacal in some instances and soulful in others, but mostly, she was as sensual as could be. Her voice was nearly as impressive as her acting, although not quite as strong as Curry’s. Ultimately, however, the best thing about Cox was not her acting or her singing, but rather, the way she rocked those costumes and that makeup. The Rocky Horror Picture Show is, at its core, a visual feast, and Cox clearly knows how to put on a show. 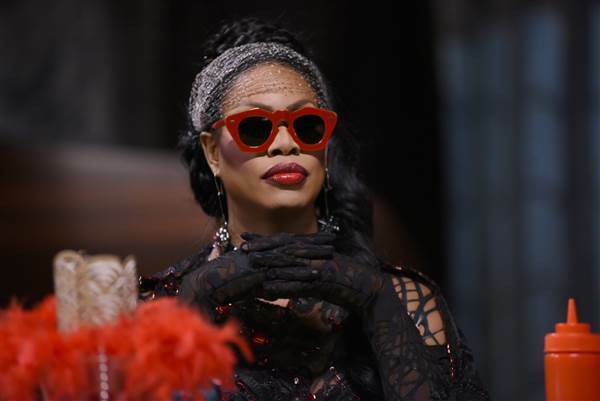 I am one of several viewers who found plenty to love about Laverne Cox as Dr. Frank-N-Furter. There was a lot of trash talk on Twitter this evening, but also a surprising number of compliments from people who didn’t expect to like anything at all about the reboot. These viewers were glad to be proven wrong on at least one count. With or without Cox, I think that this reboot was a mistake. But I’m glad that somebody was able to capture my attention during what could have otherwise been a hopelessly dull broadcast. What did you think of The Rocky Horror Picture Show remake? Should there have been a remake in the first place? Comment and share your opinion below.